Whistleblower Maurice McCabe has said he was annoyed with himself for shaking hands with former Garda commissioner Martin Callinan at the Disclosures Tribunal. The former garda sergeant was approached by Mr Callinan during a break in tribunal proceedings earlier this year. Last month the tribunal found Mr McCabe was subjected to a smear campaign by Mr Callinan and former Garda press officer Superintendent Dave Taylor. 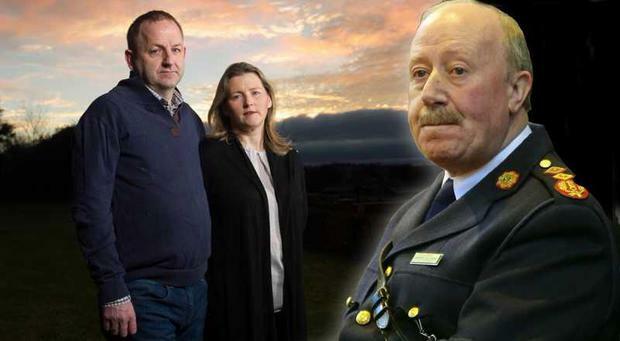 Speaking in the second part of a two-part RTÉ documentary entitled ‘Whistleblower: The Maurice McCabe Story’, to be broadcast tonight, the father-of-five said the handshake was “disgusting, to use a word of his”. The comment was a reference to infamous remarks made by Mr Callinan at the Dáil Public Accounts Committee (PAC) in 2014 when the then commissioner described the actions of Mr McCabe and another garda whistleblower as “disgusting”. His wife Lorraine also spoke of the handshake, saying she could not believe it had happened. She said her husband explained Mr Callinan stuck his hand out and that Mr McCabe hadn’t initially realised whose hand he was shaking. The documentary marks the first time Mr McCabe and his wife Lorraine have spoken to the media about their ordeal. The first part, aired on Monday night, attracted an average audience of 509,000 viewers. It would emerge during the tribunal that Mr Callinan made a series of false claims about Sgt McCabe to TDs and others at a time when the whistleblower was raising concerns about penalty points abuses and other poor policing practices. Mr Callinan had been trying, but ultimately failed, to dissuade the PAC from hearing evidence from Mr McCabe. The then garda sergeant attended a private session of the committee and gave evidence despite Mr Callinan’s opposition. Last month tribunal chairman Mr Justice Peter Charleton found Mr Callinan engaged in a campaign of false and defamatory statements against Mr McCabe, with the assistance of Supt Taylor. The judge said Mr Callinan went on “a frontal attack” against Sgt McCabe, telling a TD the whistleblower had sexually abused his own children. The claim was completely false and caused much distress for the McCabe family when they learned of it. In the second part of the documentary, it was revealed Mr McCabe’s father Michael had also embarked on a crusade years earlier against the pollution of Lough Sheelin in the 1980s. Mr McCabe said that although he wasn’t thinking about it when he took a stand against garda malpractice, there were similarities between himself and his father. “He (Michael McCabe) would go all out to prove his case. And I suppose that happened to me (too),” said Mr McCabe. Lorraine McCabe said her husband was always encouraged by his father not to back down, even in the face of opposition from other gardaí. “Michael would have always told Maurice don’t give up, don’t let them beat you,” she said.